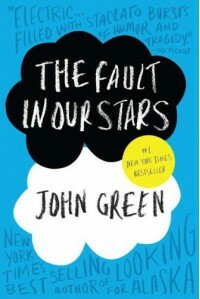 The Fault in Our Stars is my favourite John Green novel. Since its release, I’ve read it at least four times and I’ve recommended it to absolutely everyone I know. I even own two copies of it; a signed copy that stays on my shelf looking pretty, and a second copy that has been lent out more times than I can count and whose pages are marked by the bright yellow highlighter that covers all of my favourite quotes. The Fault in Our Stars is not your typical cancer novel: the characters are refreshingly real, as opposed to the stereotypical martyr, and all of the ugliness associated with cancer is not glossed over or glorified to spare the reader any unpleasant details. Cancer is a heavy topic to write about, so naturally the book is very emotional. While I did spend a good portion of my time crying over the book, I spent an equal amount of time laughing and having fun. This is mostly due to the fact that Hazel and Augustus were just like any other teenager – they played video games, watched movies, became obsessed with books, fell in love and traveled. They had cancer, but their cancer did not define them. The Fault in Our Stars is beautifully written and is littered with many incredible, memorable, thought-provoking quotes. While John Green himself is in his 30s, he is able to create such authentic voices for his characters, including his sixteen year old female protagonist. It’s a fairly short book and can easily be read in a sitting – which is good because you’ll likely want to read it again as soon as you’ve finished.